It’s a tree, I know that but it’s neither a full tree nor are there lots of them. I know I said I was trying to challenge myself by moving away from trees, for a little while at least, but this is not my usual kind of view of life. I am not really one for getting up close and personal when it comes to photography, I do like to stand back from things a little bit. This shot, like many, came about completely accidentally. I am on a mission at the moment to try and photograph as many of the lodges in the park as I physically can, there are up to 35 in total so be patient with me on this one. Anyway, I was in the Peoples Garden one beautiful sunny day trying to get my hands on a decent shot of the lodge within the gardens. The lodge itself is completely surrounded by a five foot hedge so it was taking me a while trying to find a decent angle to allow the lodge rise above its surroundings. I found a rather large tree stump and after standing on it and setting up my camera discovered I could almost get the entire house into the shot from this elevated angle. By the time I had tripod set up, camera tested, light meter sorted, focus tested and retested, a crowd of about twenty teenage Italian students arrived on the scene. No problem there I thought, in fact they may just add something to the scene. Then they all started to practise some bizarre form of group dancing, you know the kind you see in really bad R’n’B videos. I’m not putting that in my photograph, sorry if I seem a bit snobbish about it but come on, group dancing in a black and white landscape photograph. So I waited……….and waited. I sat down on the ground and held my head in my hands waiting on this to end. Then I noticed this little fella looking straight at me with his “Please photograph me” stumpy branches. And so I did, and I ended up really liking the results. By the way, I have absolutely nothing against Italian students, they just happened to be Italian students. In fact, I’m a part time Juve fan so you could say I have a love of all things Italian. To purchase a signed 12 x 12 inch print of this photo, just click the button below. 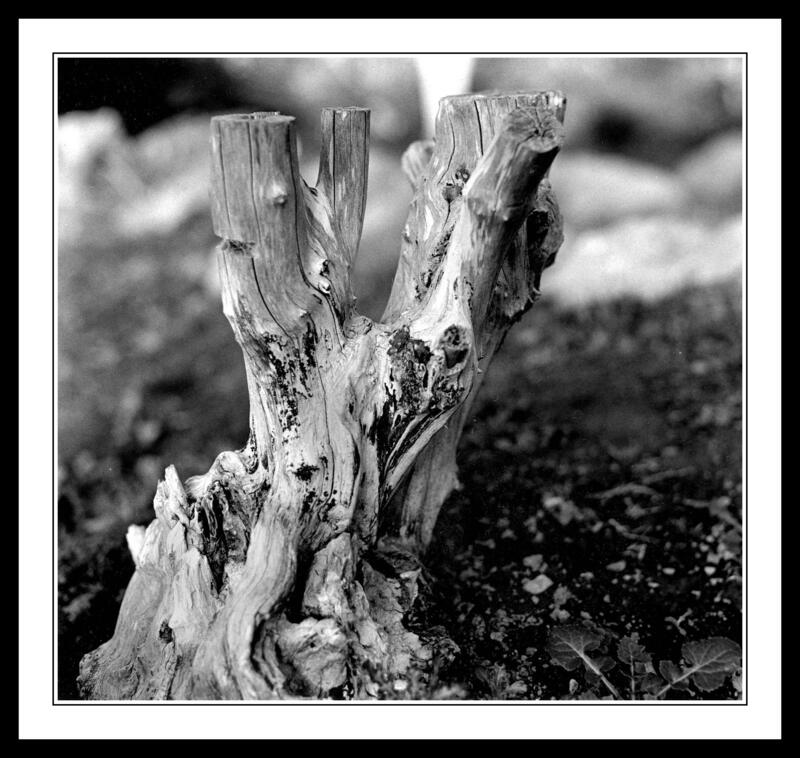 This entry was posted in Black and White Photography, Film Photography, Irish Landscapes, Phoenix Park, Photography and tagged Black and White Photography, bronica medium format, Film Photography, Medium Format, Peoples Garden, Phoenix Park, Photography. Bookmark the permalink. Boy, you did have a long day with this group squatting the setting! But, it was all good; you did get to take a different type of shot. Hey Barbara, good to hear from you again. A long wait, but worth it in the end I think. Kind of forced me to look down instead of up for a change.